Lafayette High School is the home of the FCPS Gifted and Talented Program in the arts, SCAPA. Students are selected for this program via audition in an applied area (music - vocal or instrumental; visual art, dance, drama or literary arts). Students majoring in Voice at SCAPA are members of Advanced Women's Choir, Singers or Chorale. They are pulled out of choir for individual coaching sessions periodically. Vocal majors also have additional performance requirements such as juries, recitals, solo and ensembles, and the Cabaret. All music majors at SCAPA also take a musicianship class each year, focusing on music theory or music history. Audition for All State, participate in Solo and Ensemble and UK Bluegrass Festival. Vocal majors receive vocal coaching both individually and in a group setting with either Mrs. Fields or Mrs. Howard on a regular basis. Students are pulled from their choirs for these lessons. Lessons focus on technique as well as repertoire and will build upon what students are doing with their private teachers outside of school. 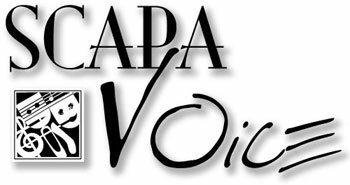 Grades for SCAPA vocal coaching are given as part of the choir grade since students are pulled from their choir for coaching. Students are graded on progress, evidence of practice, participation in mandatory events, etc. Because of the large amount of majors we have, in-school coaching sessions often only happen once every 3 weeks or so. In order to make the progress that is needed as a SCAPA student, it is necessary to find a private teacher outside of school to ensure a more consistent, weekly vocal routine. We can recommend teachers in the community and we also offer a program called M2. Through M2, students can take private lessons at LHS after school for a reasonable fee. Visit the website www.lafayettechoir.org to sign up. Vocal majors are required to participate in Master Classes and Competition Observations each semester when a local professional vocalist is brought in to serve as a guest clinician for majors or when we attend and observe local competitions. The clinicians may lecture, perform, critique student performances, etc. during this time. Since vocal majors do not all meet as a group during the school day, this experience is invaluable for students to get to know each other and perform for one another. For the Fall semester, there will be one master class on campus in September. Students will then have a choice between observing the high school vocal competition at UK in October or the Met Opera auditions at UK in November for the competition observation requirement for the semester. There will be one master class on campus in the Spring and students will be required to observe the Alltech Vocal Scholarship Competition at UK in March. Firm dates TBA. A jury is a graded performance during which a student’s progress is evaluated based on the performance of two memorized classical solo selections. Mr. Marsh, Mrs. Fields and Mrs. Howard will serve as the “jury” for this event, using a specific evaluation rubric. The jury is used to determine progress, which in turns allows us to decide whether or not the student is ready for recital performance. Juries take place in November and May. Seniors are exempt from the spring jury. All recitals are mandatory and are graded events. Voice majors will perform on a Winter Recital in January. 9th Graders will perform their own recital followed by upper classmen. As a young voice student, much emphasis is placed on basic skills such as posture and breathing rather than assigning a lot of repertoire. Young vocalists must develop these basic skills and techniques required of a singer. This is more important than the number of pieces a student learns. We do have very high expectations at SCAPA and hope that this will inspire much hard work over the course of the semester. The spring recital is typically only for senior vocal majors. However, all vocal majors must attend all recitals whether performing or not. As with the master classes mentioned above, it is very important that the students be able to perform for and listen to each other. 9th grade students often perform run-out concerts at nursing homes, UK hospital and the Niles Gallery on UK's campus. All vocal majors perform on the Cabaret. Featured repertoire for this event is show tunes and lighter music. Freshmen perform as part of small ensembles. Upperclassmen are also encouraged to perform ensembles. The cabaret will take place in April. All vocal majors are required to audition for All-State Choirs. 10th, 11th, and 12th graders, will audition in-house at Lafayette in order to be considered for a district audition spot for KMEA Sr. High All-State. Students learn the audition piece in choir. The All-State Chorus event takes place in Louisville in February. Freshmen will audition for the KMEA Jr. High all-state which takes place at the same time as the Sr. High. This is done via audio recording. All upperclassmen majors must also audition to perform on the Choir Gala in September. Only 10-12 acts will be chosen due to time constraints. Repertoire for this event should be show tunes. All vocal majors are required to participate in the BCMF at UK in October. This event takes place on a Friday afternoon/evening and all day Saturday. Students learn repertoire in advance during before and after school rehearsals and then rehearse with conductors at UK and perform a concert. There are participants from all across the southern US. Sign-ups for this event will occur early in the fall semester. Vocal majors must sing a classical solo for Solo & Ensemble Festival in February or March. Students may elect to sing a selection from a prescribed list of repertoire in order to be considered for participation in State Solo & Ensemble. However, this is not required. Many competitions and solo opportunities are available to high school singers. These include Governor's School for the Arts (GSA), National Association of Teachers of Singing (NATS), UK Voice Competition, Schmidt Competition, and Alltech Vocal Scholarship Competition. Mrs. Howard will be glad to offer coaching sessions to singers in preparation, but sponsorship must be through your private vocal instructor.